Zamalek (Gezira Island) and Saqqara (Sakkara) Pyramids are good opportunities to explore the local culture. 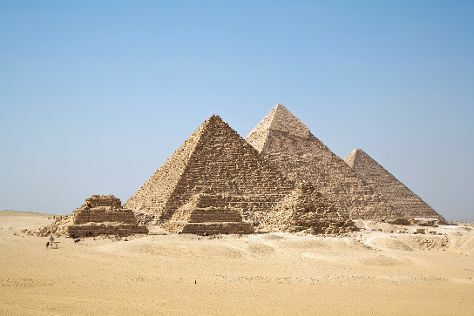 Pyramids of Giza and Old City (Coptic Cairo) will appeal to history buffs. Step out of Cairo to go to Giza and see Great Sphinx, which is approximately 34 minutes away. And it doesn't end there: get a taste of the local shopping with Khan Al-Khalili, take in the spiritual surroundings of Mohamed Ali Mosque, see the interesting displays at Egyptian Antiquities Museum, and take an exotic tour of a safari tour. To find out how to plan a trip to Cairo, use our trip itinerary maker. In November in Cairo, expect temperatures between 29°C during the day and 19°C at night. Finish your sightseeing early on the 7th (Tue) so you can travel back home.